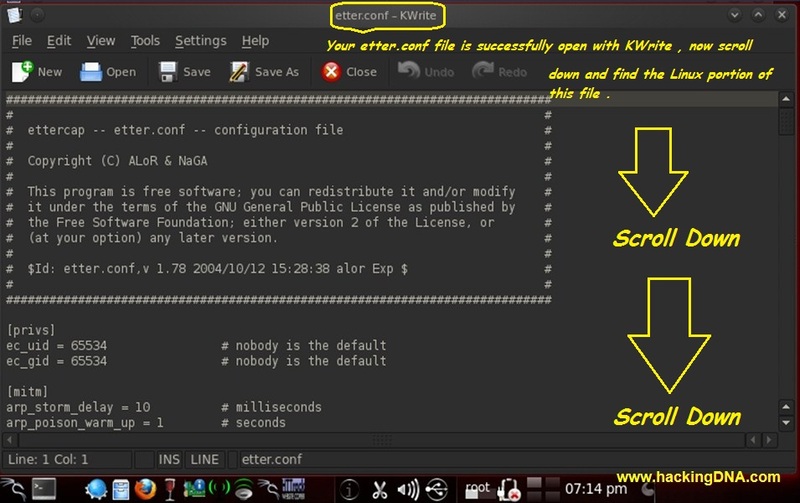 Today we are going to do Man In the middle attack , In MITM we intercept the information from the victim machine . 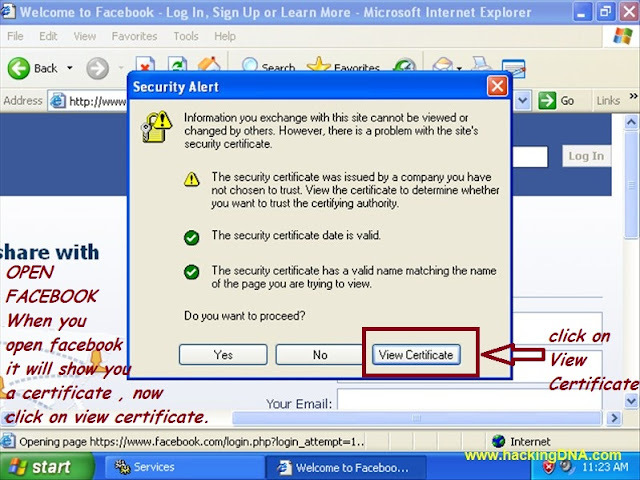 There are several ways to do man in the middle attack and today one of the way I am showing to you. 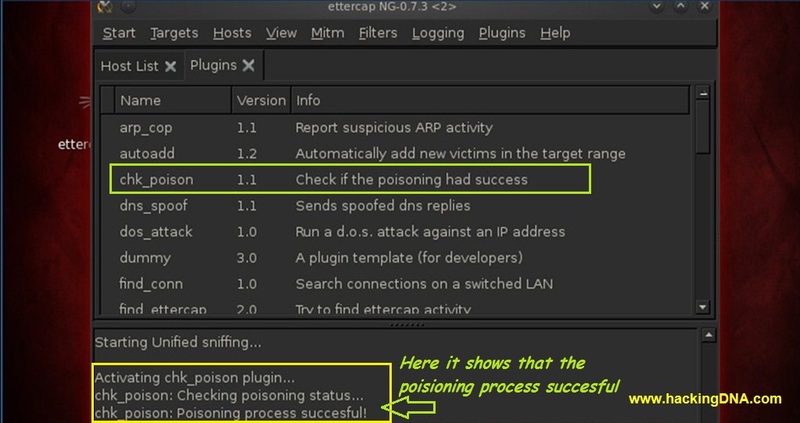 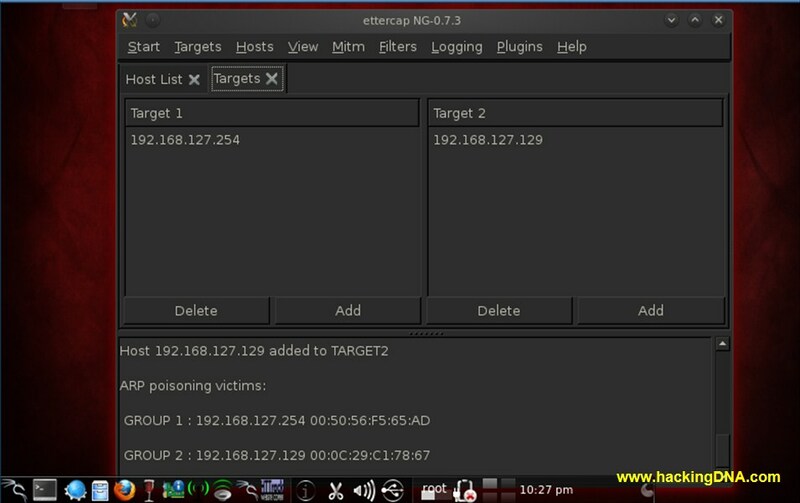 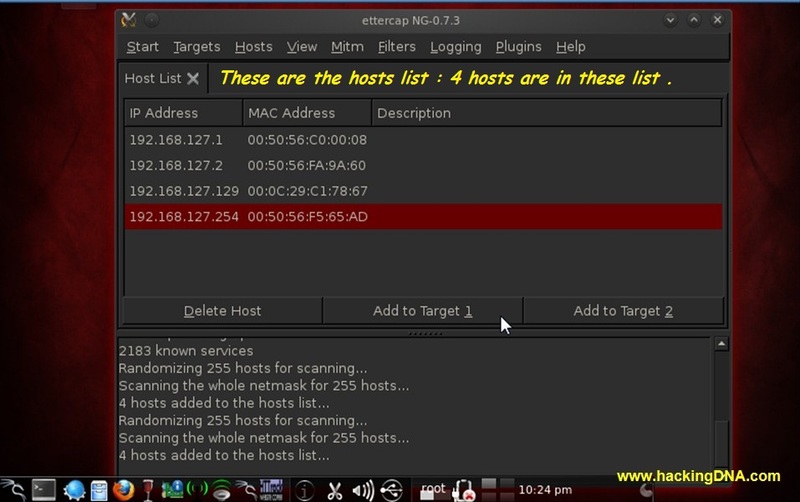 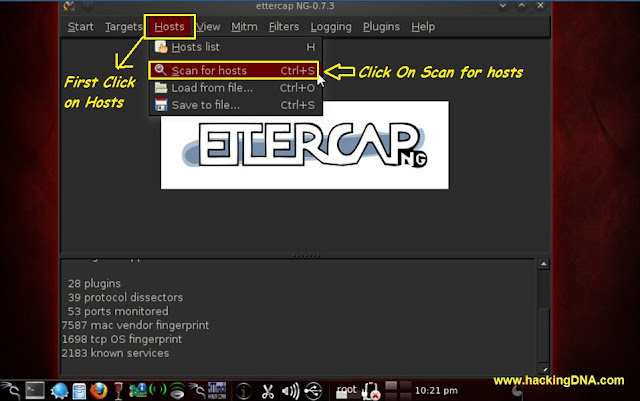 ettercap-ng :- This is the console based Interface. 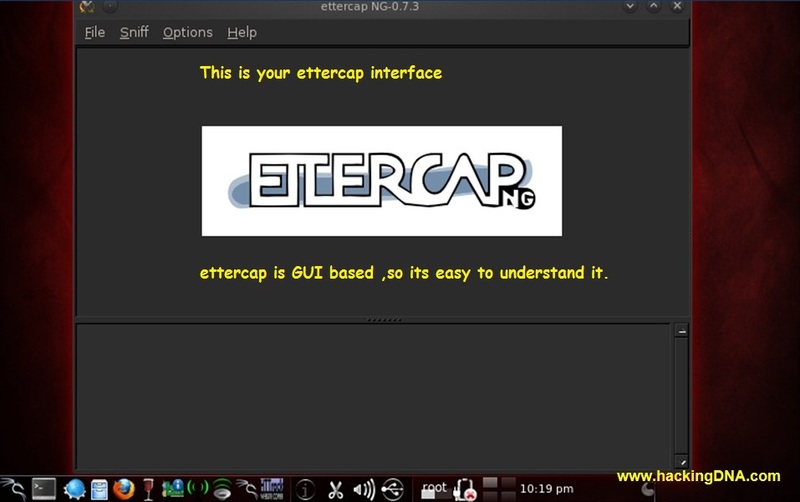 Before we going to start ettercap we have to configure the etter.conf file . 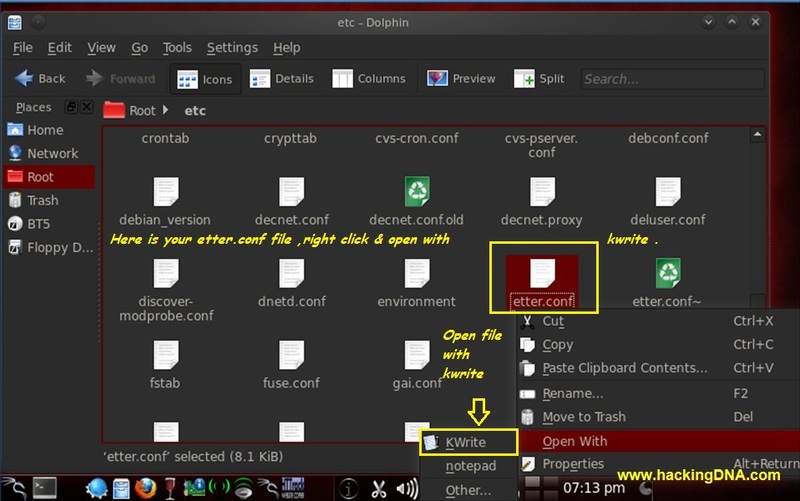 Inside the etc folder find the etter.conf file and open it with KWrite . 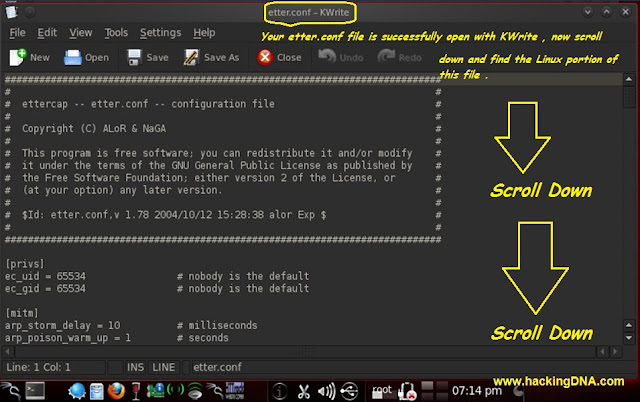 When your file open on KWrite Scroll Down to Linux Portion , see the next image then you understand which Linux Portion I am talking about . 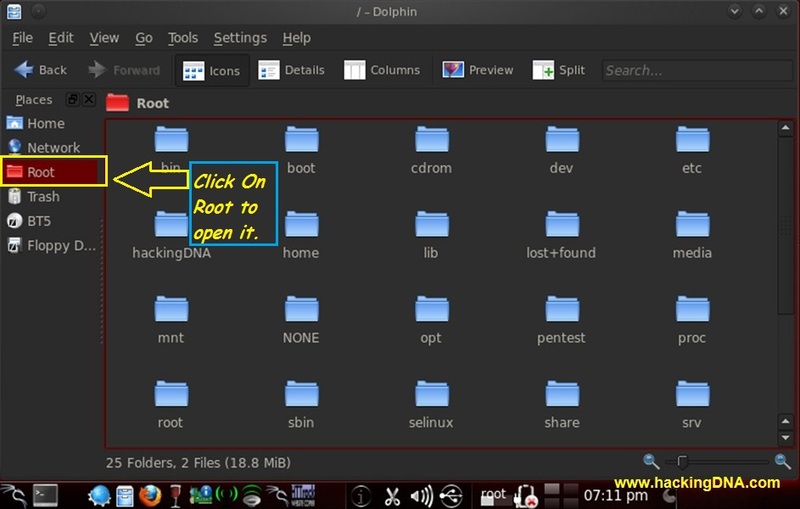 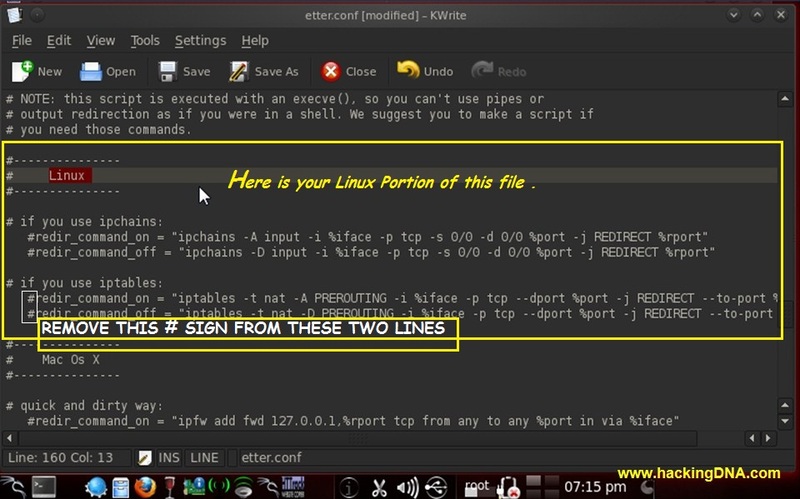 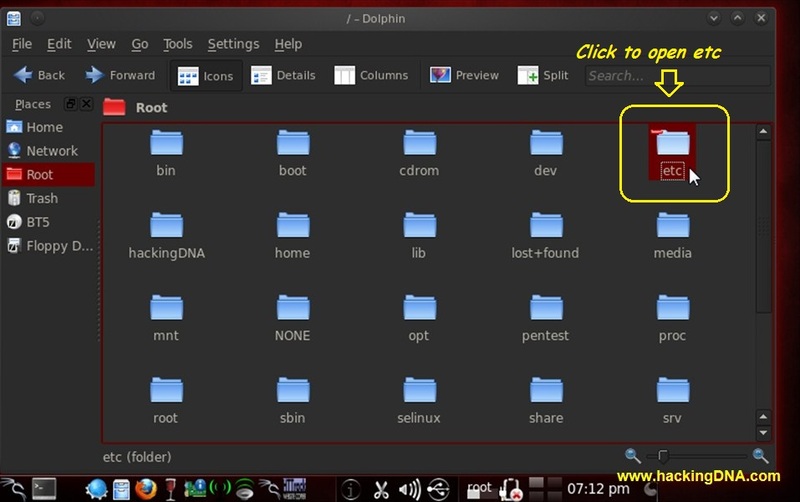 Here is your Linux Portion ,Inside this portion remove the # Signs from two lines . Now Save your file after editing . 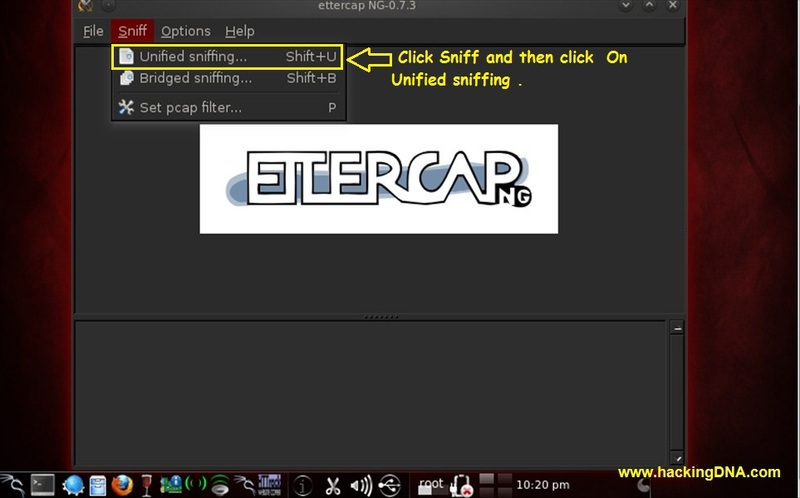 Step 2 : Click On Sniff and then click on Unified Sniffing. 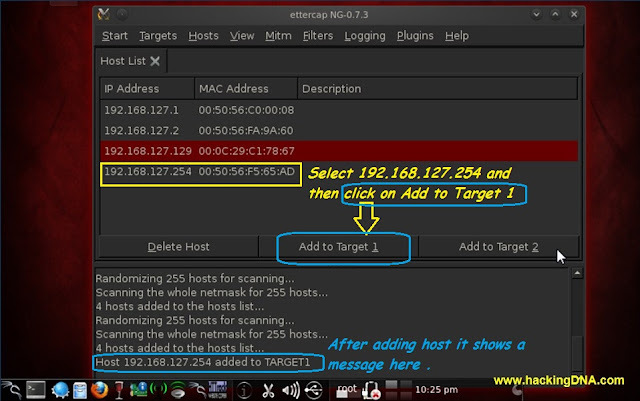 Step 6 : Add to Target : Here you have to select the host and Add to Target 1 . 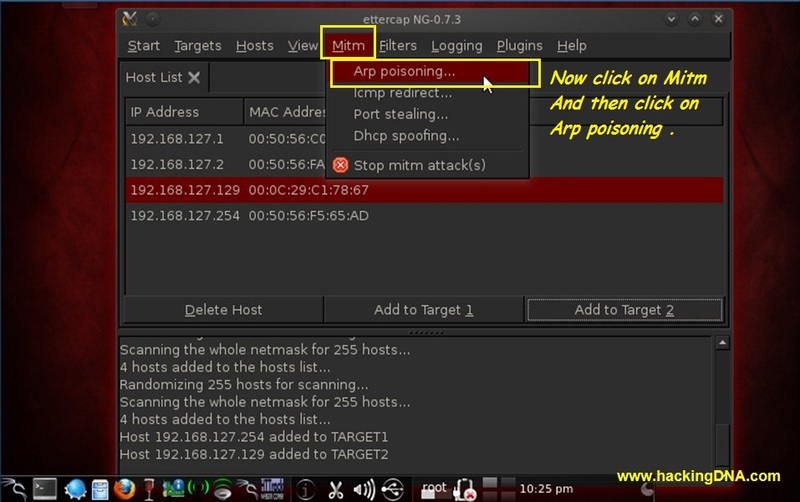 Step 7 : Arp Poisioning : Click On Mitm and then click on Arp Poisioning . 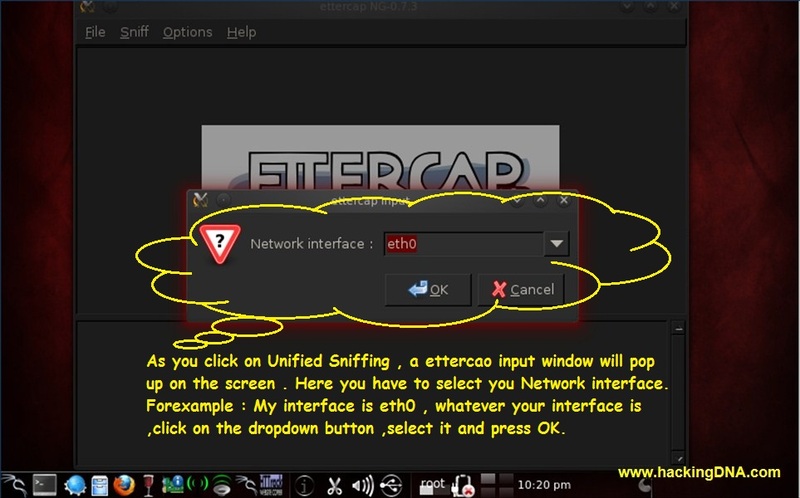 Here a small window pop-up , you have to click on the checkbox shown on the image. This is the Target window. 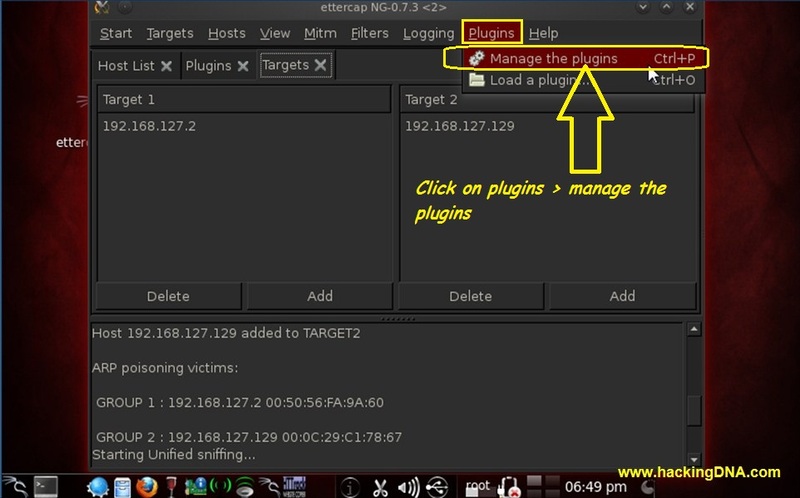 Step 9 : Checking the Arp Poisioning is successfully done or not.Click On plugins > Manage the plugins. 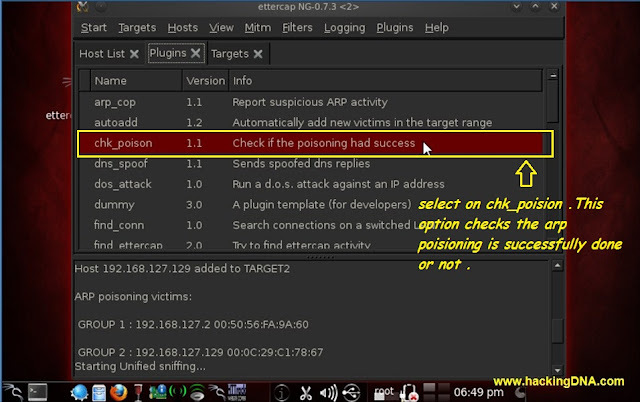 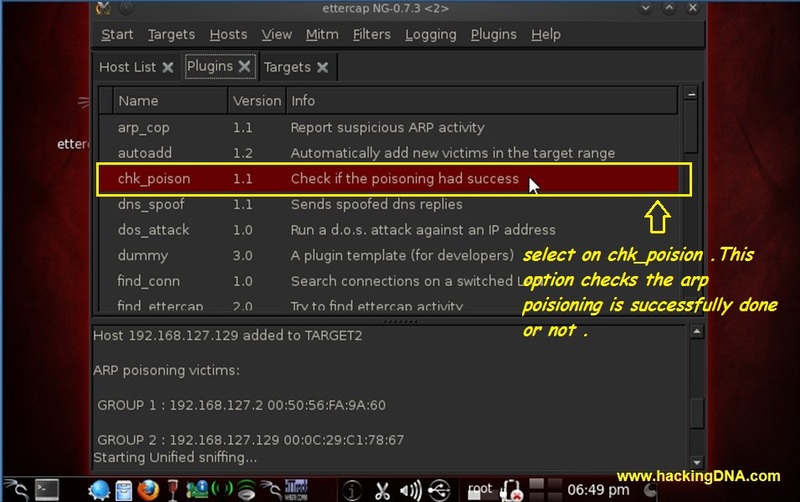 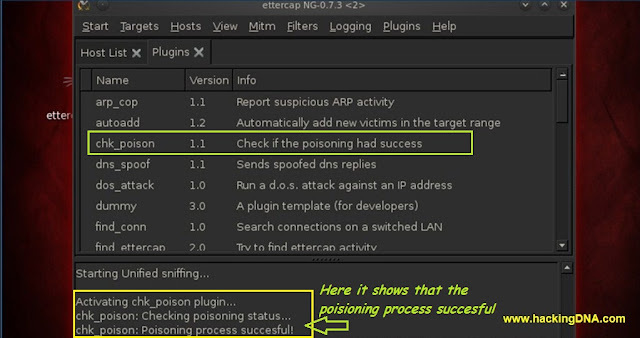 Step9: Now click on chk_poision to check that our arp poisioning is successfully done or not . 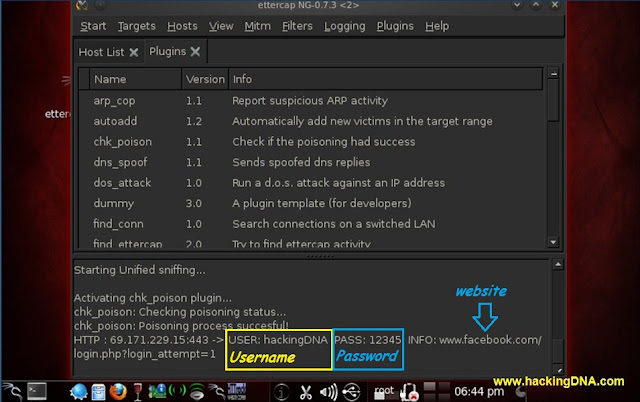 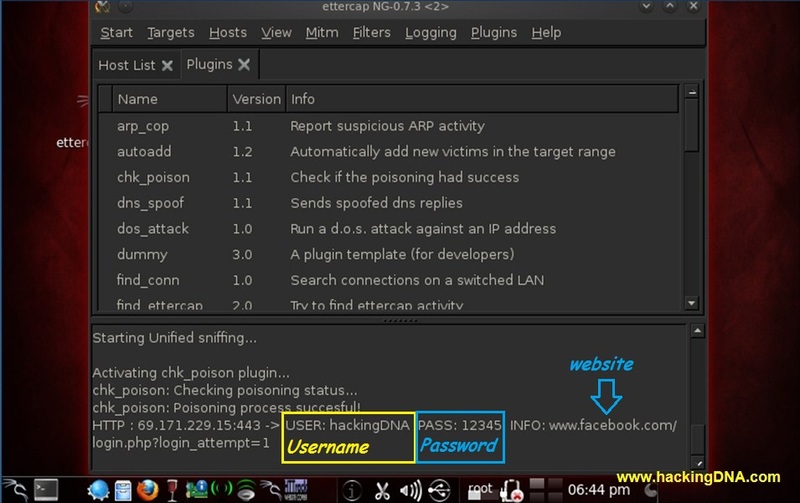 Step 10 : On Victim computer : I am Opening facebook and enter email as hackingDNA and Password as 12345 . 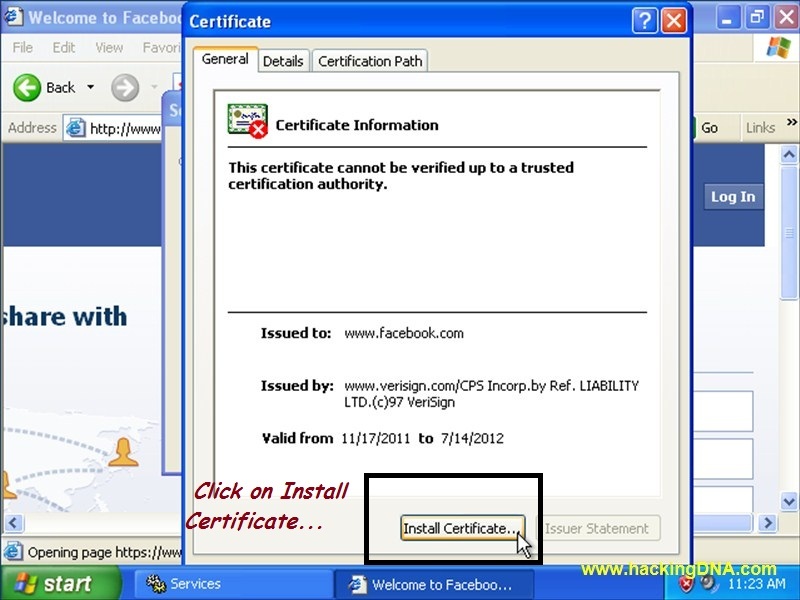 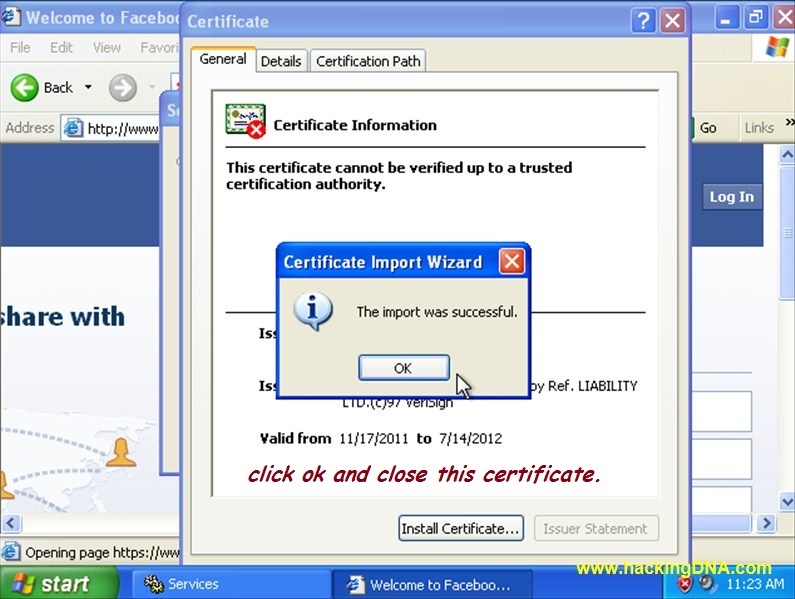 Press Login.As you press Login it will show you a certificate shown below image . 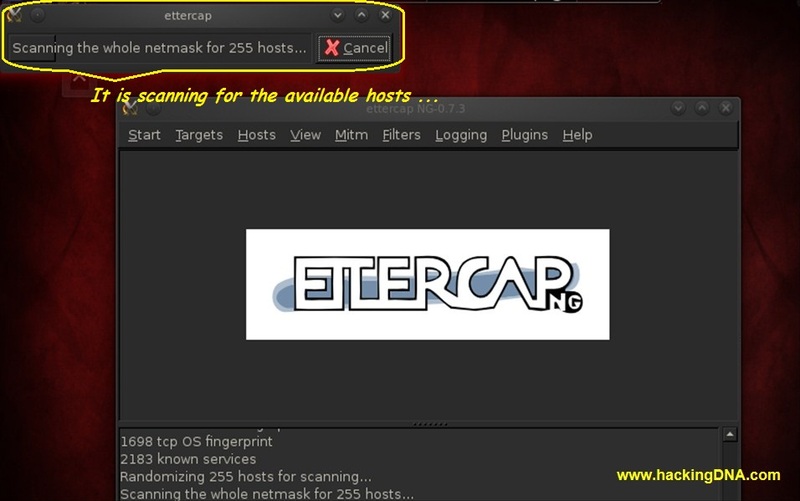 Here we get the Username and Password after poisioning the arp through ettercap. 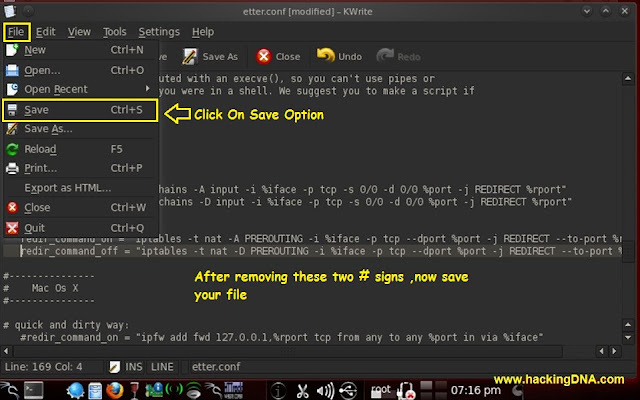 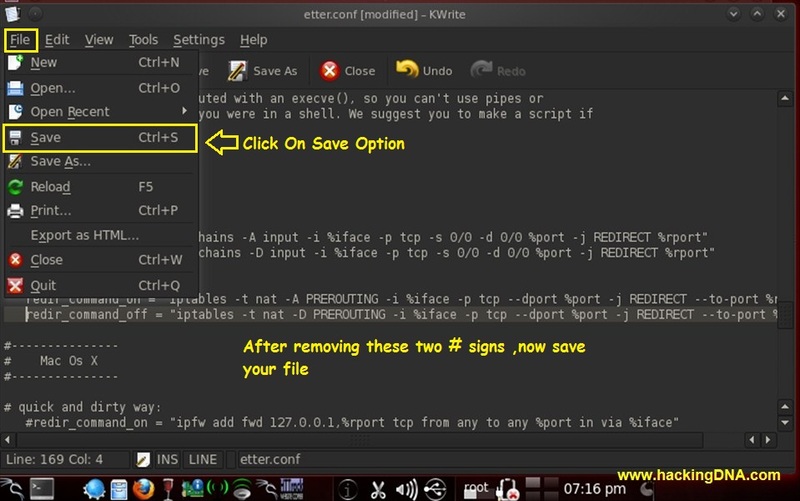 If you dont configure edit the etter.conf file then it will not show the output result. 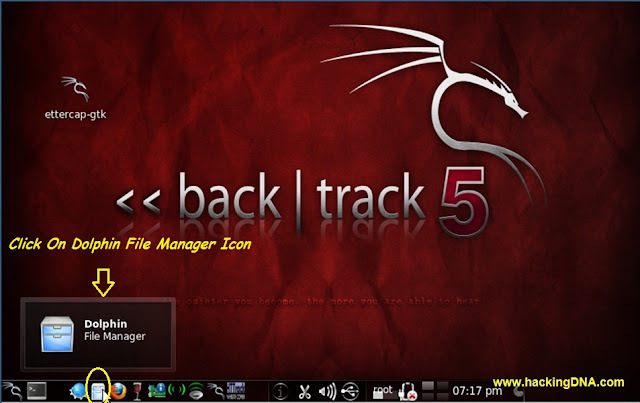 i do uncomment that line, but still no luck..so..i will try this tutorial as son as the download has finished and then installed the backtrack...Can use the backtrack on VMware? windows->MVware->Backtrack inside? will that work for me to change the appearance of the website?